Today, it has been 9 years since my grandpa, Aaron Carey, passed away. In memory of him and the way he felt about things, I thought I would share a story about him. When my mother and her sisters were small, their babysitter was a teenage black girl from down the road. One time when grandma and grandpa came home at night, they saw the girl laying on the floor beside the bed where mom and her sisters were sleeping. My grandpa got really gruff with the girl and it woke my mother up. She heard grandpa tell the babysitter to never sleep on the floor in his house again. He said dogs slept on the floor and she was not a dog. He said she should sleep up in the bed with his girls. Mom said the girl never slept on the floor again. Later grandpa said it hurt his heart to know she thought she had to sleep on the floor. 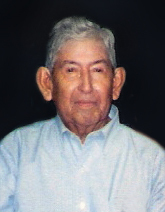 My grandpa was just one man, but he is the person I get my insight into how Cherokees were and he is my window to my Cherokee past and history. This injustice the Cherokee Nation is perpetuating against the Freedmen descendants bothers me. Our Cherokee administration wants us to believe they are just black people who are out trying to get something they aren't entitled to have. What they don't tell us is the Freedmen were citizens of the Cherokee Nation with the full rights of native Cherokee. They share the same history. Their ancestors traveled the Trail of Tears. Their ancestors helped rebuild our nation time and time again. And their ancestors were active members of the Cherokee communities in which they lived. Maybe too much time has passed or maybe we have just assimilated too much, but it seems we have forgotten some of the things our ancestors and grandparents believed. My grandpa saw people as people. The color of their skin was not important. The type of person they were was what mattered. And my grandpa believed in doing the right thing. Right now, I don't think our nation is doing the right thing. Prejudice in any way, shape or form is not right. At this point in time, we aren't even opening the door to the Cherokee Freedmen descendants, let alone giving them a floor to sleep on. This hurts my heart. I look forward to a time when we can go back to those simple beliefs that we are all equal and when we not only open the door to them but also welcome them to sleep in a bed in our home, just like my grandpa did. Grandpa. Thank you for instilling strong morals and values in us. Every day, I try to conduct myself in a way that would make you proud. I love you and miss you. You will never be forgotten.